August 11, 2016 by Ken Ward Jr. Yesterday, Hoppy Kercheval had Murray Energy CEO Bob Murray on the MetroNews show “Talkline,” ostensibly to talk about the growing financial challenges faced by Murray Energy and the vote coming up on Friday by United Mine Workers of America members on a second contract proposal with Murray. “The United Mine Workers turned it down last time. It is essential, the approval of it, to complete our four step program to avoid financial default in October,” Murray said. Murray announced in July that 4,400 employees, 80 percent of his workforce, could lose their jobs. WARN notices were sent out. I’ve worked night and day for 29 years building this company and creating these jobs only to have them destroyed by Barack Obama and his excessive regulations. Those regulations are coming out against coal, against the utilization of coal as well as the mining of coal faster than we can read them. Talk about harassment. In the first two days of this month, our mines had 89 federal inspectors from the federal Mine Safety and Health Administration run by former UMWA safety man Joe Main. Eight-nine inspectors. That means I had to take 89 management people off of inspecting the mines, off of doing safety training. It has nothing to do with safety. It is total harassment. Eighty-nine inspectors for 15 mines … All of which are cut back in production because they keep hiring these inspectors. They have nowhere to put them. It’s all harassment. It works against safety. 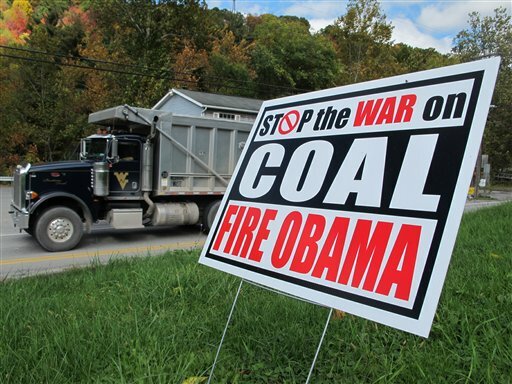 There are so many ways that this federal government, under Obama, which Hilary Clinton has said she will continue trying to drive the coal mines out of business. It has nothing to do with safety. It has to do with eliminating underground coal mining. These sorts of comments are important. They show, among other things, that some leaders of the coal industry believe that the administration’s “war on coal” includes not just its regulatory efforts to begin to address the climate crisis, but also moves by MSHA and Joe Main to try to better protect the health and safety of our nation’s coal miners. 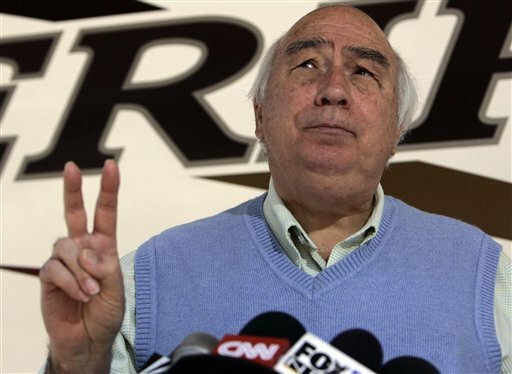 Murray Energy, for example, sued (unsuccessfully) to stop the MSHA rule on coal dust, which is the centerpiece of the administration’s campaign to end the sickness and death from black lung disease. Murray was also among the companies that unsuccessfully challenged MSHA’s efforts to tighten the “pattern of violations” rule that targets repeat violators of federal health and safety standards. It hasn’t been so long ago that six workers and three would-be rescuers were killed in one of Murray Energy’s mines, the Crandall Canyon operation in Utah. Murray’s Genwal Resources Inc., which operated Crandall Canyon, pleaded guilty in U.S. District Court in Salt Lake City to two criminal violations of mandatory health and safety standards (Murray has said that the deaths at Crandall Canyon were the result of a “tragic seismic event” and that the violations were not the cause of the mine collapse). Just last week, Republican presidential candidate Donald Trump was opining about the oppressive nature of federal coal-mine inspections. That sort of thinking ignores the clear facts that show that in mine disaster after mine disaster, it turns out that more enforcement — not less — was what was needed to keep our nation’s miners safe (see here, here, here and here). Like the West Virginia Coal Association, Murray pins the coal industry’s future on Republican presidential nominee Donald Trump. Murray said he had one-on-one discussions with the candidate in May and June. Murray hosted a Trump dinner in Wheeling in support of the candidate. He will help the coal industry all he can. But I think he actually has to be tempered because I don’t think he can do all for coal that he says he wants to do, like bring all the miners back. It will never happen. The Obama administration has destroyed the markets for the coal industry to the extent that it can’t come back to where it was. But the destruction can be stopped. Let me see now… Mr Murray refers to 89 inspectors for 15 mines. That means something like 6 inspectors for each of the mines, mines that are quite complex sprawling operations with multiple areas being worked and many aspects of the mining process to be checked over the course of those two days. — That hardly seems like harassment or an impediment to keeping the operations running and safe, especially if those inspectors are joined by the foremen or line bosses or others who are usually checking on the mining process as a part of their normal business day anyway. …. And how many times a year do these inspectors visit the mines — quarterly ? … Certainly not every week or month. Has MSHA laid off or eliminated any personnel since the closures and production reductions at the coal operations? No, so they keep them busy harassing those operations that are trying to survive!! I used to work in the coal mining industry and I’d like to let Cindy know that the Federal mine inspectors are typically at the coal mines just about every day. It’s not every quarter, but more like daily. One of the issues is that dozens (perhaps hundreds) of coal mines have closed over the last 5-7 years but the Federal inspection agency (MSHA) has not had any layoffs of inspectors, so these inspectors have to keep busy so they tend to send dozens of inspectors to the mines that are still operating. And of course it’s a federal bureaucracy and I think most people understand that Washington can’t really run anything effectively. And of course everyone in MSHA take their marching orders from the Secretary of Labor who of course was appointed by Pres Obama and the Labor Secretary knows that the President has actively promoted what most call the War on Coal, so everyone wants to please their boss so the Labor Secretary is no different, the marching orders from the White House is to put coal mines out of business. This can not be denied, just ask most any underground coal miner, union or non-union, salaried or hourly and they will say the same. Go to eastern KY or southern WV and ask the unemployed coal miners and they will say the same.